There’s no game I get more questions about than Destiny 2, so here’s a little tidbit for those of you who are desperate for news on Bungie’s next big game: It’s still on track for 2017. Said Activision in a slideshow attached to their earnings call today: “Full Destiny sequel in 2017 to broaden the franchise’s global reach, which along with follow-on content plans, sets the stage for growth.” In human-speak, that means it’s still planned for this year. Although some of the folks behind Destiny 2 might crave more time to add content and beef up the game, here’s an interesting bit of news to consider: If Bungie misses this year for Destiny 2, Activision is awarded a hefty chunk of the independent studio’s stock, according to two sources familiar with goings-on at Bungie. UPDATE (2/10, 4pm): Bungie has denied that this is the case, telling Kotaku: “There is no scenario where Activision, or any other partner we work with, is awarded Bungie stock.” This contradicts the account of two sources we spoke to prior to the publication of this story. It’s possible we got our wires crossed or were misinformed—we’re poking around to see what happened there—but we know that this information had been floating around both externally and internally at Bungie. We apologize for the confusion and will defer to Bungie’s account on this one. However, we do know that Bungie employees’ stock vesting schedule is based on game releases, including Destiny 2, which gives them major incentives to get the sequel out this year. Fans had been worried—mostly thanks to the lack of news—that Destiny 2 might be delayed out of this year, but consider this: with the first Destiny, Bungie started talking too early and wound up showing a number of features and plot points that never actually made it into the final game. This time, they want to avoid those mistakes, which means we likely won’t hear about the game until closer to launch. The roadmap will likely include a Destiny 1 spring update, then a Destiny 2 reveal with a launch this fall. 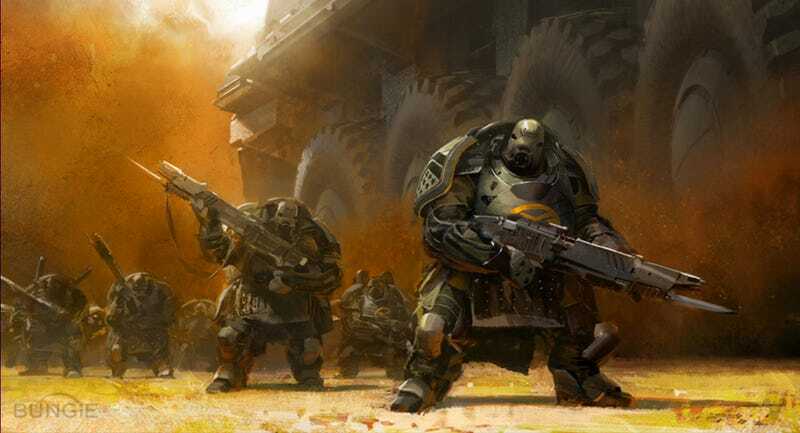 They’ve got a lot of people on this one: From what I hear, at least three other Activision studios are working on the game in addition to Bungie. Destiny 2 is also coming to PC, and will likely be a total overhaul, so don’t expect to bring your Destiny 1 gear with you. In other Destiny 2 news, the nonsensical Reddit rumor floating around today (and embarrassingly covered by websites like VG247) is very fake.